Spanning the years 1960-1983, Finding Bluefield chronicles the lives of two women who, by seeking love and family, find themselves navigating unknown and dangerous territory during a pivotal time in U.S. history, marked by segregation, the civil rights movement and Martin Luther King's March on Washington, the assassination of J.F. Kennedy, the first man on the moon, Woodstock, free love, and finding the courage to be different. While it's published for adults, the latter part of the book deals a lot with how their son grows up and his experiences at school, coming from a home with two lesbian mothers. 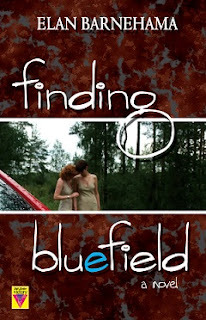 Add your review of "Finding Bluefield" in comments!